Swissotel Resort Bodrum Beach lies directly on the waterfront in Turgutreis, approximately 20 km from the centre of Bodrum. A very popular destination as it offers ideal conditions for water sports, culture and Aegean relaxation. The main two storey hotel of Swissotel Resort Bodrum Beach comprises 66 rooms and suites. 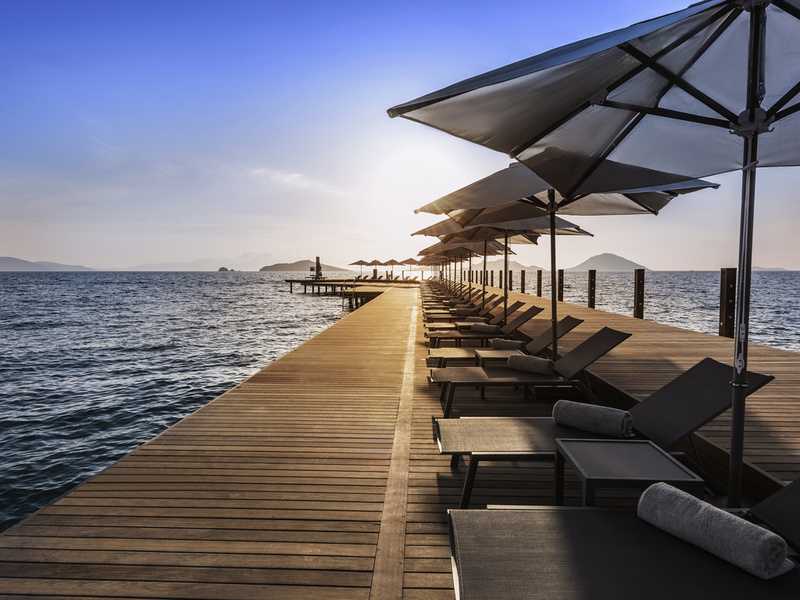 Swissotel Resort, Bodrum Beach lies directly on the waterfront in Turgutreis, approximately 20 km from the centre of Bodrum, a very popular destination as it offers ideal conditions for culture and Aegean relaxation. The hotel features 66 guestrooms and lavish suites many of which enjoy a splendid view of the sea and the islands. Minimalist modern design innovative bathrooms state of the art technology and Purovel amenities. Lobby Lounge and Bar brings you tasty snacks and cocktails. Serving the finest Turkish teas, coffees and herbal teas along with an extensive selection of International beers and original cocktails, this is the perfect place for a chat with friends. With its panoramic view enhanced by sophisticated décor, The Yuhi Bar, looking out over the islands of the Aegean and Bodrum's sapphire blue sea and majestic mountains, has everything it takes to make a relaxing drink even more enjoyable.